The Vegetablets’ latest album was a charming and at-times strange bit of indie-pop, a highlight of 2018. 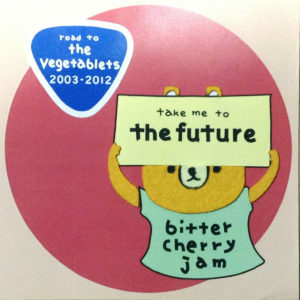 Now, they’ve shared a compilation gathering songs recorded between 2003 and 2012, as the title suggests serving as an intro into their history leading up to the sound of The Vegetablets. Removed from this context, Road To The Vegetablets is a pretty strong indie-pop album, and worth a listen to anyone who indulged in Three Berry Icecream at any point in their life. “Strawberry Taste” nails the mid-day stroll vibe so much Japanese indie-pop eyes, while a cut like “Sentimental Journey” nails the balance between jaunty and downcast. Extra points for all the synthesizer touches, which elevate songs like “She Is My POP Star” from solid to giddy celebration of music. As a way to understand The Vegetablets, it’s solid — this set is far more straightforward than their latest album, coming off more like two artists channeling their faves rather than the wonkier duo that emerged this year. But it only makes that turn all the sweeter. Get it here, or listen below.